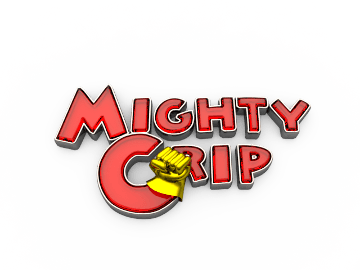 CURRENTLY IN PRODUCTION email sales@mightygrip.com for order inquiries. For heavy perspiration and/or Hyper-hydrosis. We searched and found what we think is the best product for a problem that afflicts many people with "sweaty palms". 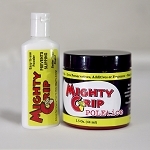 100% natural Mighty Grip Poletice is an organic covering for the hands that smells better than vinegar, apply only once and lasts for hours. No more antiperspirants that dry and crack the skin and need constant re-applying. If you are tired of all these different solutions and all the other "miracles" on the market, Poletice is for you.